In September 2015, ten of the world’s leading luminaries noted for exploring the mysterious compound DMT (dimethyltryptamine) gathered with other researchers at Tyringham Hall in England to discuss the subject. Over three days, they pooled their expertise from a wide range of subjects - archaeology, anthropology, religious studies, psychology, neuroscience, chemistry, and psychopharmacology, to name a few - to explore the notion of “entheogenic plant sentience” and the role of DMT as a conduit between Spirit and Matter. Offering cutting-edge insights into this visionary domain, DMT Dialogues distills the potent exchange of ideas that occurred at Tyringham Hall, including presentations and discussions on DMT entities, the pineal gland, the possibility of DMT as a chemical messenger from an extraterrestrial civilization, the Amazonian shamanic perspective on Invisible Entities, morphic resonance, and the science behind hallucinations. Contributors to the talks and discussions include many leading thinkers in this field, including Rupert Sheldrake, Rick Strassman, Dennis McKenna, Graham Hancock, Jeremy Narby, Erik Davis, Ede Frecska, Luis Eduardo Luna, Bernard Carr, Robin Carhart-Harris, Graham St. John, David Luke, Andrew Gallimore, Peter Meyer, Jill Purce, William Rowlandson, Anton Bilton, Vimal Darpan, Santha Faiia, Rodrigo Niño, and Cosmo Feilding Mellen. What can the DMT Experience and DMT Research Offer Humanity? Featuring Graham Hancock, Rupert Sheldrake, Dennis Mckenna, Jeremy Narby, Erik Davis and others. Dennis Mckenna, Roland Griffiths, Alan Davis (John Hopkins, US) and Chris Timmerman (Imperial, UK) will then present the latest news on DMT research projects, hosted by Daniel Pinchbeck and followed by audience Q and A. A participatory workshop envisioning controlled experiments to enhance humanity's understanding will be run in parallel over the afternoon, asking attendees to propose scientific experiments in this arena for consideration by the assembled. The use of a number of experiential light technologies and VR devices will also be on offer in other rooms. The mystic paintings of Alex Grey articulate realms of psychedelic visionary consciousness, revealing interwoven energies of body and soul, love and spirit, illuminating the anatomical core of each being. Alex's visual meditations on the nature of life and consciousness, the subject of his art, have reached millions through his five books including three monographs, the exhibition and extensive reproduction of his artwork, speaking appearances including a popular TED talk, stage sets for major rock bands, video animation, and Grammy award winning album art. Allyson Grey is a painter and social sculptor. She has been Alex's creative collaborator, life partner and studio mate since 1975 after meeting in art school. Allyson's paintings represent chaos, order and secret writing, an essentialized world view symbolizing the material world, the interconnected realm of energy and light and the sacred language of creative expression. With an MFA from Tufts University, Allyson has long been an art educator, art events organizer and a muse to artists worldwide. Together the Grey's co-founded the Chapel of Sacred Mirrors, a spiritual creative retreat center outside of New York City. On the forefront of a movement in which painters join musicians on stage, the Grey's have painted together live before tens of thousands of dancing young people at New York Broadway theaters, at sold-out festivals and arenas in dozens of international cities across five continents. As long-time advocates of "cognitive liberty," a growing international "sacramental culture" has embraced the Grey's as important mapmakers and spokespersons for the visionary realm. 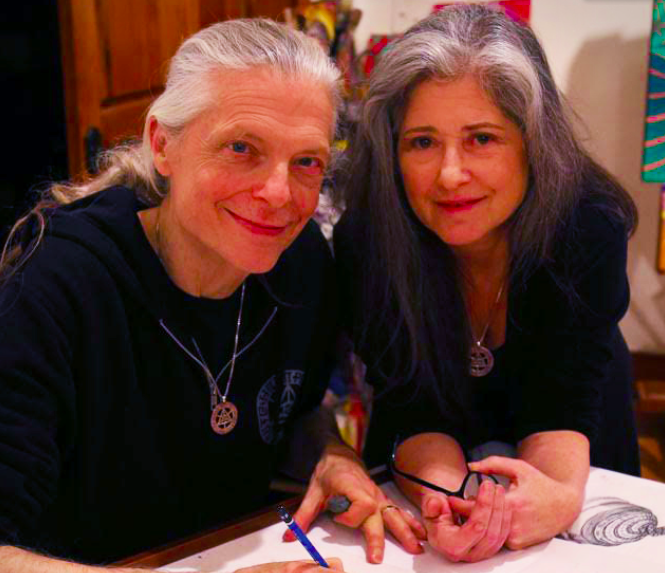 The Grey's, with their team, are currently building Entheon, a Visionary Art sanctuary in the Hudson Valley of New York. Graham Hancock is the author of the major international non-fiction bestsellers The Sign and the Seal, Fingerprints of the Gods, The Message of the Sphinx, Heaven’s Mirror, Underworld and Supernatural, and of the epic adventure novels Entangled and War God. His books have sold more than seven million copies worldwide and have been translated into thirty languages. His public lectures, radio and TV appearances, including two major TV series, Quest For The Lost Civilisation and Flooded Kingdoms of the Ice Age, as well as his strong presence on the internet, have put his ideas before audiences of tens of millions. He has become recognised as an unconventional thinker who raises resonant questions about humanity’s past and about our present predicament. In February 2015 Hancock was voted No 30 in the Watkins list of “The 100 Most Spiritually Influential Living People”. Diana Reed Slattery is a novelist, scholar, and video performance artist. Slattery’s science fiction novel, The Maze Game, tells the story of a game played on mazes made of the psychedelic language, Glide. She received her Ph.D. in 2010 from the University of Plymouth, UK, for research in psychedelics, language, and the phenomenology of altered states of consciousness. States of extended perception were used in the conception, design, and implementation of her LiveGlide video performance software. Psychedelics provided the means to emerge from the cocoon of natural language into what could be understood as both a pre-linguistic state of direct apperception of the world around and inside us, and as a post-linguistic realm of evolutionary forms of language. Her book on these topics, Xenolinguistics: Psychedelics, Language, and the Evolution of Consciousness, was published in 2015 by North Atlantic Books. John A. Chavez is an independent researcher who has authored a series of books titled Questions for the Lion Tamer. He presents multi-layered information indicating that significant measurable changes take place within human physiology during altered states of consciousness. Electrical activity within the human body is mysterious in terms of integrating the discussion with the more traditional biochemical conversation. This has led John to coin the term "Electric Endohuasca" when discussing supernormal abilities and phenomena experienced by humans. A mystical experience in 2013 served as the catalyst for John's interest in the subject. He hope's to help drive the discussion and research funding in terms of the endogenous psychedelic system. Christopher Timmermann obtained a BSc in Psychology in Santiago, Chile and a MSc in Cognitive Neuroscience at the University of Bologna in Italy. He is currently completing a PhD in Imperial College London, leading a project focusing on the effects of DMT in the brain and consciousness. He is interested in the use of methods bridging the relationship between phenomenology and changes in brain activity by studying the effects of psychedelic compounds in human participants. 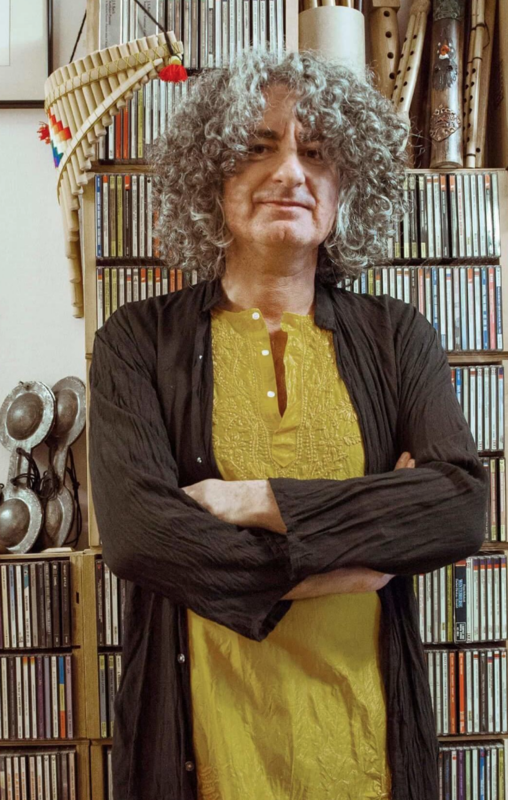 Since the publication of his book 'Tryptamine Palace: 5-MeO-DMT and the Sonoran Desert Toad ' in 2009 – the first book on 5-Methoxy-DMT and now considered to be a contemporary psychedelic classic – James Oroc has emerged as one of the leading entheogenic voices of his generation in his continuing attempt to resurrect psychedelic philosophy. An accomplished photographer and adventure-sports journalist as well as a world-class competition paraglider pilot, his new book “The New Psychedelic Revolution: The Genesis of the Visionary Age” continues to define the parameters of 21st century psychedelic culture through a prolonged examination of a multitude of different facets of the modern psychedelic experience; with essays on subjects as diverse as psychedelics and extreme sports, the relationship between the Ego and toxicity, and a History of Visionary Art, that taken together document the rise of this New Psychedelic Revolution and its most important sources. Roland Griffiths, Ph.D. is a Professor in the Departments of Psychiatry and Neurosciences at the Johns Hopkins School of Medicine whose research has focused on the behavioral and subjective effects of mood-altering drugs. His research has been largely supported by grants from the National Institutes of Health, and he is author of over 370 scientific publications. He has conducted extensive research with sedative-hypnotics, caffeine, and novel mood-altering drugs. In 1999 he initiated a research program investigating the effects of the classic psychedelic psilocybin that includes studies in healthy volunteers, in beginning and long-term meditators, and in religious leaders. Therapeutic studies with psilocybin include treatment of psychological distress in cancer patients, treatment of cigarette smoking cessation, and psilocybin treatment of major depression. Planned future studies include assessing psilocybin effects in early Alzheimer's Disease and a study of psilocybin treatment of anorexia nervosa. Brain imaging studies (fMRI and PET) are providing insight into the underlying neural effects that account for unique features of psychedelic experiences. The Hopkins laboratory has also conducted a series of internet survey studies characterizing unusual psychedelic experiences including mystical-type, challenging, near-death, God-encounter, and entity-encounter experiences.